Now that fall is officially here, you’re probably starting to pull your warmer clothes out of the back of the closet while thinking about what you are going to do over the holidays. While you’re making those kinds of fun preparations, don’t forget about ensuring that your home or business is ready for the colder months. By acting early, you can prevent a lot of problems before it starts getting cooler outside. 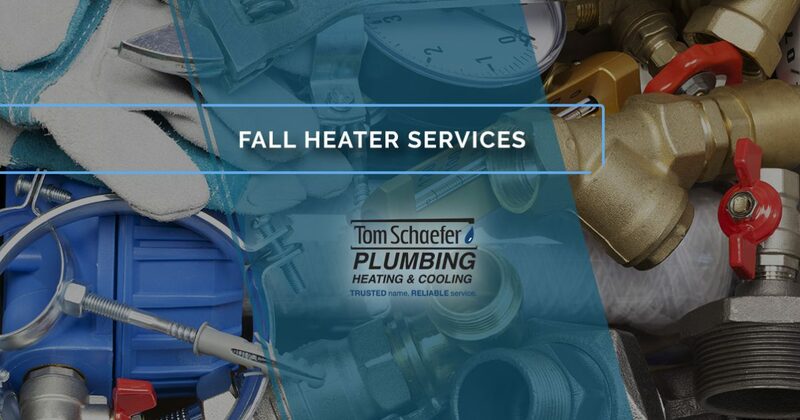 Call Tom Schaefer Plumbing, Heating & Cooling in Eastlake to find out about the ways that we can help you keep your heater working as efficiently as possible over the fall and winter. 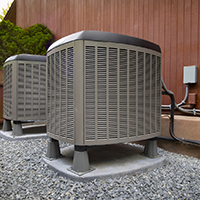 With decades of experience and a name you have grown to trust, we are the HVAC company that will be there to offer the best prices on heater repairs and service. Contact us today to set up your appointment for a heater tune-up or read on for more information about the services we offer to keep your furnace working. Before you turn on your heater for the year, it is a good idea to have a professional HVAC expert check it out. Heaters can be surprisingly complicated appliances where a lot can go wrong. When you call Tom Schaefer Plumbing & Heating, we can inspect your heater before you need it. Checking it before it gets too cold means that, if it does need service or repair, there is more than enough time to order parts and get it running the right way before the cold really settles in. Inspections also provide you with information about the long-term health of the heater or furnace. 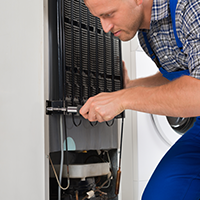 Our technicians will be able to tell you exactly what shape your unit is in and about how long it may be before major repairs or a replacement is needed. Call us sooner rather than later for an inspection. Once the cold settles in, more and more people need repairs and inspections, so it may take longer than you would like for us to be able to help. Book your inspection today and be ready for winter! A heater service can be as simple as checking gas lines, relighting a pilot light, or removing carbon from a heating element. It can also be more complicated and involve everything from the power supply to your vents. Whatever your furnace needs to work correctly, the HVAC experts at Tom Schaefer Plumbing, Heating & Cooling can perform simple services and complex repairs when you need them and both residential and commercial systems. No job is too big or too small for us. Tom Schaefer Plumbing, Heating & Cooling is Eastlake’s most-trusted name in heater repair, service, and inspection for a reason: we have the experience and knowledge that will make any repairs and service go as quickly and as smoothly as possible. 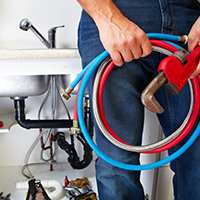 Contact us today for any of your residential or commercial heating, cooling, and plumbing needs. No one has more experience than we do and no one else cares as much about taking care of our customers as Tom Schaefer.